Lake Powell water sports boat charters, wakeboard charters, water ski charters for and water enthusiasts. 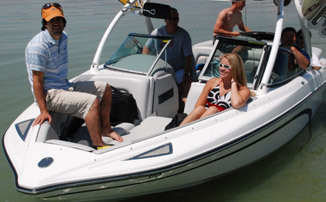 Affordable boat charters VIP Boat Rentals and Lake Powell fishing guides. Offering wakeboard, water ski, water sports boat charters and boat rental service to beautiful Lake Powell. Go play on Lake Powell and get to the next level in your favoritee water sport with our full Service Water Sports Charters. Group packages are great for family family reunions and Corporate business retreats. We do all the work you play and have fun. 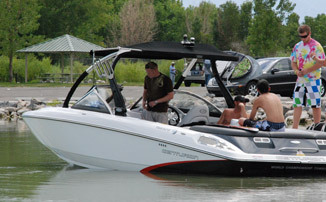 Take the worry out of boating with our professional charter services & VIP Boat Rentals. Multiple boat packages are available to accomidate a large group. We take pride in tayloring our service to fit the needs of your idiviual group. Half days sesssion are only available if our crews are on site on or around your scheduled dates. Call for 1/2 day options.